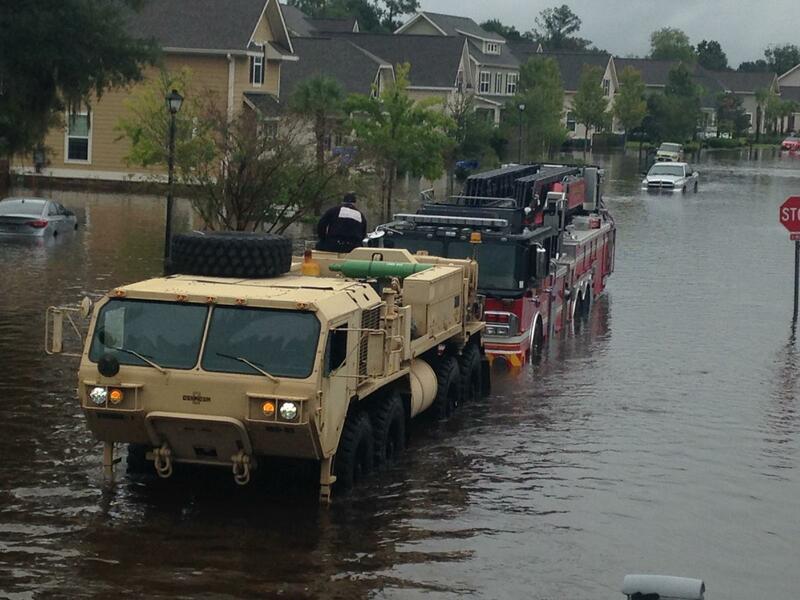 Flooding in South Carolina is slowing beginning to subside. Brother’s Brother Foundation is continuing to monitor North and South Carolina as the water levels subside from last week’s record flooding. BBF has already sent four tractor trailer loads of bottled water to the Carolinas. Without donations, however, it will be harder to provide additional goods to damaged communities. Torrential rains -- in some parts, 20 inches in two days -- have caused historic flooding in the state, which is still recovering from storms associated with Hurricane Jaoquin. “It’s tied to money," Hingson said. "It’s just the way it is. We helped with some of the cash reserves that we had. Glad we did it, but we have to have other money to do more things." Area water levels also help determine when more shipments can be safely delivered, he said. South Carolina officials have reported 14 deaths associated with the massive flooding.